In XVe century, the dukes of Brittany and Burgundy, quasi-sovereigns, were the feudal lords most powerful of France and Nantes, located at the lower part of the cathedral on a punt forms relatively low right bank of the Loire which formerly bathed its walls, is one of most significant French fortresses the. Vestiges of an old castle built about 1207 per Guy de Thouars, increased and completed in XIIIe century by Pierre de Dreux and Jean 1st the Russet-red one, are always existing. This "castle of the new tower" that its name distinguishes from the fortifications even older of the Gallo-Roman city of the North-West, was rebuilt in XIVe century by Jean IV Pennies his form current it dates from the time of great restoration undertaken by the duke François II about 1466 and continued by Anne of Brittany. Later, between 1582 and 1592, the external fortifications were modified by the duke of Mercoeur. In this ducal castle par excellence Jean IV in 1399 died and was born Anne, girl of François II and Marguerite de Foix in 1477. Intended to become duchess of Brittany, it was also twice queen of France by her marriages with Charles VIII (1491) then with Louis XII (1499). It is here that in 1532 the king of France, François Ier, announced the union of the duchy of Brittany with the crown of France. Among the many events whose the castle was pilot, most significant was perhaps the declaration of the edict of Nantes per Henri IV, in 1598. The building, whose courtines remarkably represent the great ducal program of rebuilding undertaken in XVe century, is imposing and complex. The horseshoe turns are particularly interesting, just as the loopholes with gun which mark the birth of an effective artillery and the machicolations supported by a typically Breton corbelling. At the interior, the c ourt is dominated by the large home from which the principal apartment of the first stage is accessible by an external staircase. Although entirely not having never been completed, this home is an excellent example of almost royal palate of the end of XVe century, with large rooms occupying several stages, of many private parts and, symbol of the Rebirth, a sumptuous gallery at the top of the staircase out of oeuvre located at the angle. 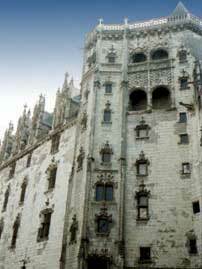 The framings of windows and doors as well as the attic windows are out of tender limestone of white color, the tuffeau of the Loire Valley, adopted to supplement the granite, used like building material.